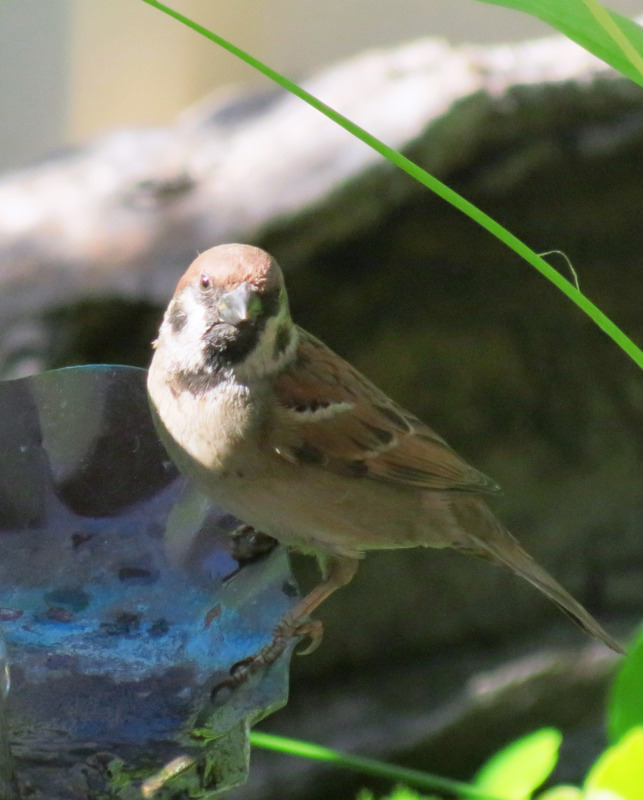 Bunbury residents are asked to look out for and report unusual birds following the recent discovery of a Eurasian tree sparrow in the backyard of a Carey Park residence. Department of Primary Industries and Regional Development biosecurity officer James Sheehan said reports of serious pest birds by members of the community played an important part in protecting the State’s agriculture sector and environment. “Tree sparrows are a declared pest in Western Australia due to their potential to damage cultivated grain and horticulture crops, spread disease and compete with native birds for food,” Mr Sheehan said. “The nesting, roosting and feeding behaviours of sparrows can foul buildings, so the discovery of a tree sparrow in Bunbury highlights the need for unusual birds to be reported to the department to enable their surveillance and removal. Tree sparrows are similar in appearance to some finches and are about 11 to 16 centimetres long but are slightly plumper. They are brown or dark grey with a streaked back and wedge-shaped beak. Sparrows are often found near people - in yards with bird food, baths and aviaries, or near cafes or grain silos, and they can be recognised by the way they hop. Mr Sheehan said tree sparrows were most often found near sea ports, such as Bunbury, after arriving in ships from south east Asia. “Tree sparrows are among several declared birds that have established in other Australian states and territories but not WA, thanks in part to the help of community members in looking out for and reporting unfamiliar species,” he said. For more information about sparrows, visit the department’s website . Report unusual birds to the department’s Pest and Disease Information Service on +61 (0)8 9368 3080 or by using MyPestGuide ReporterTMonline  or via the app . DPIRD has asked members of the Bunbury community to look out for and report unusual birds following the discovery of a tree sparrow in Carey Park. This print version was generated at 3:28am on the 19th of April, 2019.